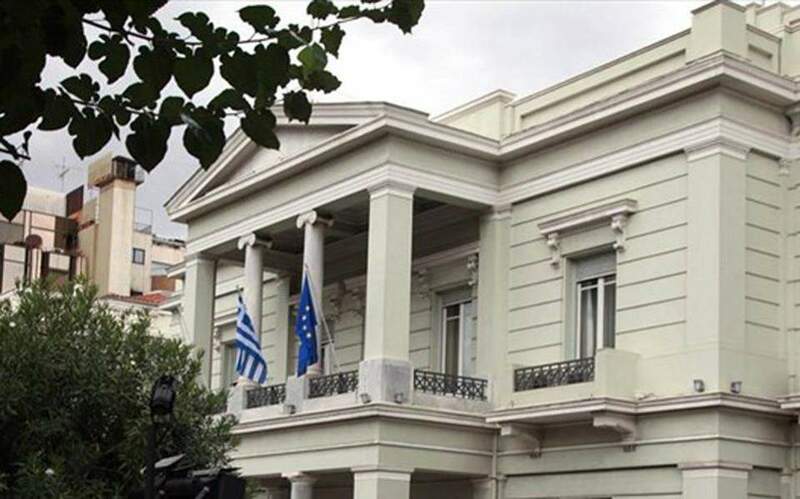 Greece’s exclusive economic zone (EEZ) will be delimitated taking into consideration international law and not Turkey’s views on the issue, the country’s foreign ministry said on Thursday. The ministry was responding to Turkey’s Defense Minister Hulusi Akar who said in an interview on Wednesday that his country will take necessary measures if a decision is taken that compromises its rights and interests in the Aegean Sea. “The delimitation of the Greek EEZ in its entirety will be determined based on international law and certainly not by taking into account unsubstantiated and arbitrary theories adopted by the violator of international law, Turkey,” the ministry said in a press release. Concerning issues of demilitarization, Greece’s position is well-documented and “cannot be questioned,” it added. The ministry said Greece will not be drawn into an exchange of aggressive statements and called on Turkey to respect the UN Charter. Ankara was irked by comments made by former foreign minister Nikos Kotzias last week who claimed Greece was ready to extend its western maritime borders from 6 to 12 nautical miles. Turkey also said last week a Greek frigate had harassed a Turkish energy exploration ship in the Eastern Mediterranean – an incident denied by Athens officials.